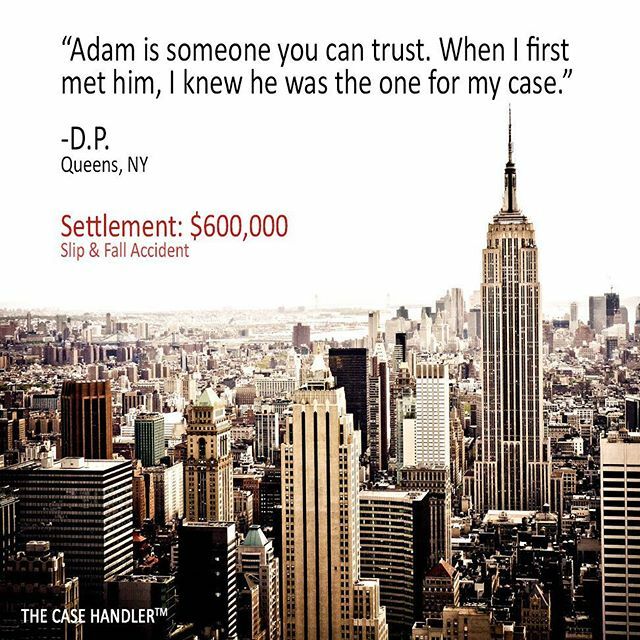 Home / Case Results / Queens Slip and Fall Accident Attorney Review: D.P. Queens Slip and Fall Accident Attorney Review: D.P. D.P. slipped and fell in a supermarket due to melting snow that was ignored by the store staff. As a result, D.P. sustained serious injuries requiring left knee, right knee and lower back surgery. Initially, the insurance company for the supermarket denied the claim stating they were not aware of the slippery condition and that D.P. had previously sustained similar injuries. As an experienced Queens slip & fall accident attorney, Adam Handler was able to contradict their position by finding several eye witnesses to the accident. On the eve of trial, and not wanting to get into the courtroom with The Case Handler, D.P.’s lawsuit settled for $600,000.00!